There is a good news for the Samsung Smartphone lovers the tech giant has launched two another outstanding yet affordable smartphones in Pakistan namely the Galaxy A30 and Galaxy A50. 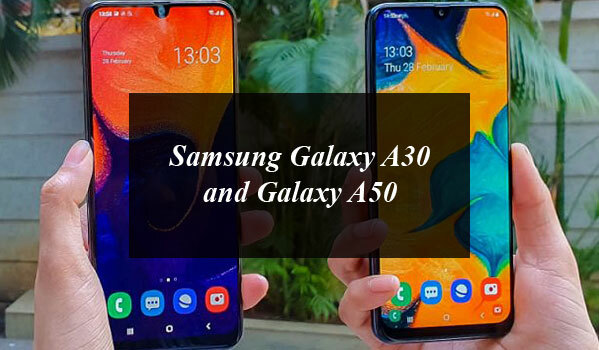 Samsung Galaxy A30 and Galaxy A50 are the two new models with the improbable design and outstanding features. The Samsung Galaxy A50 comes with 6.4 inches FHD+ Super AMOLED touch screen Infinity display with the U-Notch. It is powered by the Octa-Core Exynos 9610 Processor and runs on Android Pie Operating system with the Samsung One UI. It has a 4GB RAM and 128GB of internal storage which is expandable up to 512GB with microSD card. The Samsung Galaxy A50 is packed by triple rear camera 25MP with an f/1.7 aperture, a 5MP with an f/2.2 aperture and an 8MP with an f/2.2 aperture and 123° Ultra Wide Angle. On the other hand the front camera has a 25 MP lens with an f/2.0 aperture. The phone includes an On-Screen Finger Print Security. You can unlock your phone with Face Recognition technology. It is powered by the 4,000 mAh Battery with 15W Fast Charging with USB Type C.
The Samsung Galaxy A50 is available in black, white and blue colors options with the price tag of Rs.51, 999. The Samsung Galaxy A30 comes 6.4 inches FHD+ Super AMOLED touch screen Infinity display with the U-Notch. It is powered by the Octa-Core Exynos 7904 Processor and runs on Android Pie Operating system with the Samsung One UI. It has a 4GB RAM and 64GB of internal storage which is expandable up to 512GB with microSD card. The Galaxy A30 includes dual rear camera 5MP with an f/2.2 aperture and a 16MP with an f/1.7 aperture and 123° Ultra Wide Angle. On the other hand the front camera has a 16MP lens with an f/2.0 aperture. The phone includes an On-Screen Finger Print Security. You can unlock your phone with Face Recognition technology. The Samsung Galaxy A30 is available in black, white and blue colors options with the price tag of Rs. 39,999. 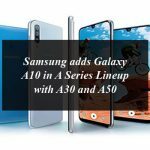 The Samsung Galaxy A30 and Galaxy A50 are currently available to all distributors of Samsung phones in Pakistan such as Airlink, Greentech, and M&P.